I went to fix a computer from a customer in Erie, Colorado who got scammed from someone that took over their computer on remote access saying they were from Microsoft. 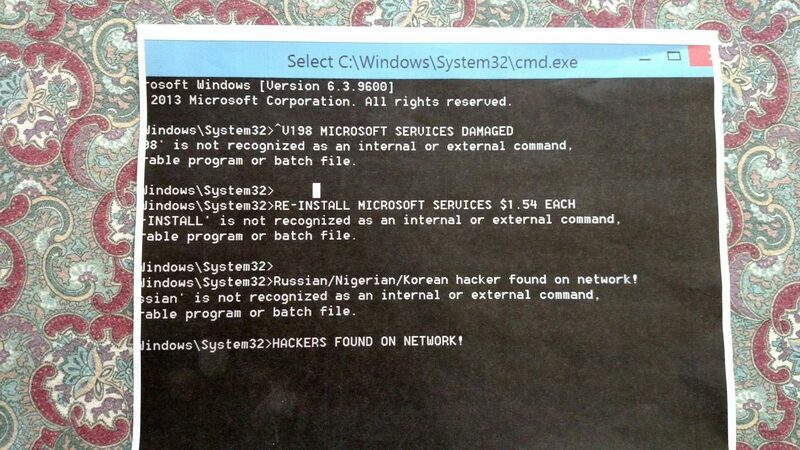 I traced the steps.Very interesting what they did they use the command prompt to put fake commands in saying that hackers were infiltrating your system and they needed to pay money to fix the issue. They said they were from Microsoft and need to fix the problems created by the hackers. People who are not technicians are fooled by this. but this is a command prompt this is not a error screen. That’s why it says it’s an unrecognized command Copying and pasting bogus error information in the command prompt you supposed to only be typing commands People get confused by this who don’t know about computers. Saying that you must install Microsoft services at $1.54 a piece 198 times for each service. Then they take the credit card information charge your credit card for that and God knows for what else. They also did other things working very fast having the customer do things on the computer to distract your attention and having a lot of pop-up screens. 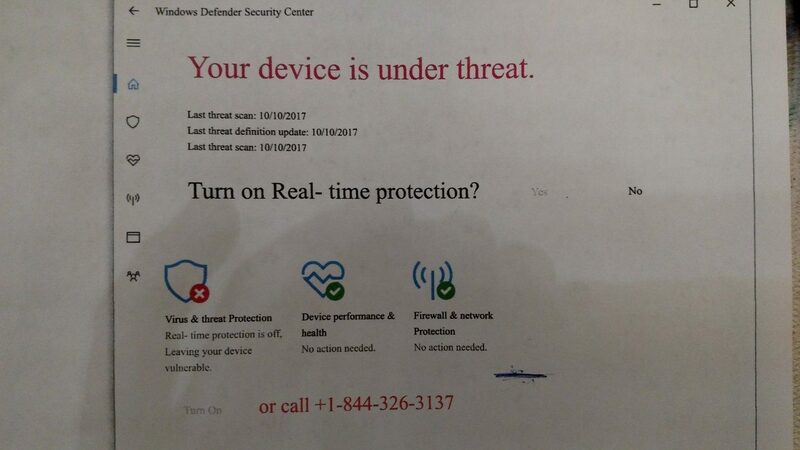 While taking over the computer with remote access. I was able to undo any damage they caused and get the computer back up and running like before. So in the end I fixed the issue. 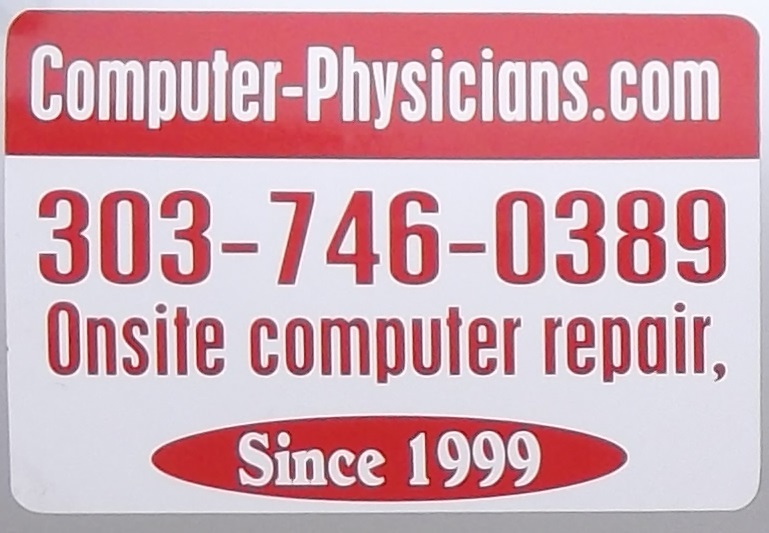 But people need to call Computer Physicians if they get a problem with their computer so that they don’t cause more issues or problems. This hacker could have done worse if the customer did not call Computer Physicians to come solve the issue.